In the spring, for example, venture firms including Sequoia Capital, Andreessen Horowitz and Union Square Ventures reportedly invested in a crypto hedge fund called MetaStable. Another crypto hedge fund called Polychain has raised from some of the same shops, while other VC firms like CrunchFund are directly participating in cryptocurrency token sales. Explainer: ICOs are a form of crowdfunding through which a cryptocurrency project sells part of its pool of tokens (future cryptocurrencies) to early backers. 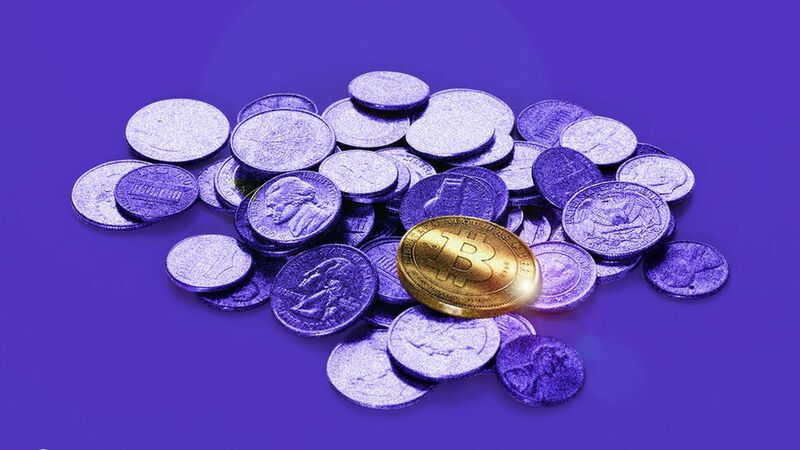 Usually, these tokens are sold for Bitcoin or another digital currency, and the fundraising often happens before the project begins —as a way to fund its development. Similar to company stock, investors hope that the value of these future cryptocurrencies will increase once they start trading publicly. Many ICOs involve a "pre-sale" during which a subset of the tokens are sold to a select group of investors (often professional investors) before the official ICO takes place, usually at a slightly higher price. The funds: Cryptocurrency hedge funds are cropping up quickly—there are already dozens of them, according to a recent Hedge Fund Alert report. Axios primarily spoke to people involved with three of them: MetaStable, Polychain Capital, and one managed by Pantera Capital. While their investment strategies vary, all focus on purchasing cryptocurrencies and tokens. Familiarity: It's cliché, but a lot of VC interest in these early-stage tech projects is because it's similar to investing in startups. "They're all about envisioning the future and predicting the future," MetaStable co-founder Josh Seims told Axios of venture capitalists. "And the story of crypto is very synergistic with the future." One VC at a well-known Silicon Valley firm said projects fundraising though token sales are similar to startups because they have small teams, usually with just a white paper detailing the tech they want to build. He also compared backing these hedge funds with putting money into Y Combinator, which gives VCs a bit of exposure to the accelerator's portfolio companies. Vetting: Similarly to startups, there's an emphasis on picking viable projects with qualified teams, though multiple experts emphasized to Axios that technical abilities are much more important than in the case of a startup building a photo-sharing app. Pantera Capital partner Paul Veradittakit added: "If they're raising Series C or Series D level capital, I'm really gonna have to be comfortable with those teams not only to build the tech but also be good stewards with that money." As for selecting hedge funds to back, it comes down to manager expertise and networks in the nascent community, giving them the ability to spot the best projects and teams early. Education: Tokens and cryptocurrencies are a new asset class and many investors want to explore it, especially after "the meteoric rise of Bitcoin and Ethereum," according to Seims. It may also yield better returns than investing venture capital into a company building tools for cryptocurrencies. "Investing in the companies has risks," he says. "Even Coinbase, if you participated in the Series A back then, you would do about as well as well as if you bought Bitcoin back then." Where the money comes from: It depends. As Seims points out, many VC funds don't have charters that allow them to invest in these new assets. Early on, VCs were investing their personal money into MetaStable, for example. Pantera Capital's ICO-focused fund is separate from its VC fund, though both have similar kinds of limited partners. As for Sequoia Capital, a source says that it doesn't have a separate pool for crypto hedge fund investments. There are still a lot of unanswered questions when it comes to regulations, although the SEC recently warned that some token sales could be subject to securities laws. And of course there's the question of whether ICOs will replace venture capital altogether, though investors' have differing views on that point.